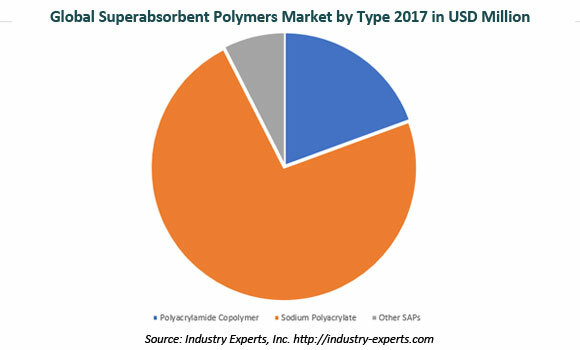 Industry Experts, Inc. published a global market report on Superabsorbent polymers (SAPs). The new report entitled " Superabsorbent Polymers – A Global Market Overview" reveals that the Asia–Pacific accounts for the largest share in terms of both consumption and market value. The market for this region is estimated at US$2.5 billion in 2017, translating to 772 thousand tons. The region is also expected the fastest growing market with 6.4% and 6.1% respectively for value and volume between the period 2017 and 2022.